“Young Sinatra IV” is the fourth and final addition to the Young Sinatra series by Maryland rapper Logic. With names such as Lucy Rose, Ryan Tedder, Wale, Jaden Smith, Big Lenbo and the entire living Wu-Tang Clan members listed on the soundtrack, fans have reason for excitement. Sir Robert Bryson Hall II, better known by his fans as Logic, has decided to continue his tradition of releasing a full studio project every year for the last five years. Logic has been producing some type of mixtape for the past 10. The man is one of the hardest working musicians in the genre of hip-hop. With his constant lyrics discussing previous artists of hip-hop, and showcasing his influence, he is clearly a student of the music. The album was teased with three singles coming before the release of the album, including “One Day,” featuring genre artist Ryan Tedder. “Return” and “Everybody Dies” were also put out before the midnight release this past Friday. Logic has been venturing into different types of sounds as well, and extending his vocal range with the newest project is no different. Beginning with a unique intro song labeled “Thank You” featuring Lucy Rose, he uses the first song to thank his supporters from any aspect. What continues for the next three out of four songs in the album are what could be considered radio friendly singles. These three would be including the early released singles before the whole album release. Logic is rhyming per usual on lively beats produced mostly by 6ix, and he covers the usual topics of right versus wrong while telling his audience to live their best lives. “The Return” is the full acknowledgment of the Young Sinatra persona by Logic being resurrected while “One Day” confesses the rapper’s determination about succeeding in his dreams down the road. But by the sixth song, the listener gets the gem of the album. On the sixth song, Logic is able to bring the whole remaining iconic rap cast of the Wu-Tang Clan on “Wu-Tang Forever.” It has a boom trap beat reminiscing of the group’s golden years in the late 90’s. Members discuss how they still go head to head with any MC nowadays and that the rap these days has weakened. Member of the Wu-Tang Clan and Logic discuss mumble rap and how it has ruined the lyrical ability of the art. It is easily the best song on the album. Wale and John Lindahl also make a contribution on the next song, “100 Miles and Running.” A reference to Wale’s 2007 project, the song consists of a very up tempo beat displaying the known skills of the duo. But with not much content, the song fails to fulfill the potential of its production. 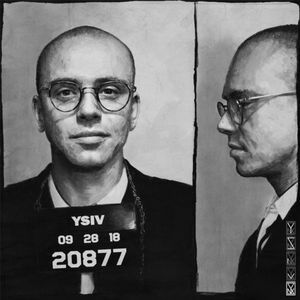 “Ordinary Day” and “YSIV” both follow very successfully in their own way. The first of which displays the diverse talents of Logic with smooth vocals and the usual rhymes his fans are accustomed to. The latter is an absolute throwback to the rapper’s old mixtape days with great content, rhymes that last forever and a tribute to the late rapper Mac Miller in the intro and outro of the song. Once again, Logic is showing his appreciation for those who have contributed to the art. The album ends with songs that are full of content, something he should have done more in the beginning of the tape instead of just energizing the listeners. “Street Dreams II” is an absolute rollercoaster with the rapper describing a very vivid dream where he is gangbanging with his producer. 6ix, his producer, is fatally shot and Logic describes guilt because he is the cause for his friend’s death. “The Adventures of Stoney Bob” is a well-produced song about relaxing with friends while smoking weed. The final three songs include “Legacy,” where Logic takes the perspective of himself, his hypothetical son and wife, where the important things in life can be misinterpreted and materialistic views can command. Jaden Smith comes up for a feature on a very upbeat and energizing song called “Iconic.” The album finishes with the song “Last Call.” Paying homage to one of his biggest influencers, Kanye West’s “The College Dropout,” where the rapper discusses his road to success by word play. In total, many fans will enjoy “Young Sinatra IV” by Logic, but it leaves a wanting for more content with more messages and better story telling. Logic is clearly able to satisfy on one or two songs, but it still seems to escape him when creating a full scale album.